@rennyhunter – I find her posts very inspiring plus her body looks amazing! @bangerz10 – Her pictures are amazing and perfect motivation when I see them on my timeline and she's always getting involved in the monthly PumpUp challenges so she's setting the pace for each one! @dany_ny – everyone needs food inspo! Her posts look so yummy and inspires me to try the new healthy food ideas! Remember why you started, and always make sure that what you're doing is for you so set goals that you want to achieve because it will make you happy instead of trying to please others. Also, remember that results will take time! So be patient, work hard and don't compare yourself to others because not everything you see on social media is realistic or achievable for everyone. Having unrealistic expectations for yourself will only dishearten you so make sure that you set goals that you know can be achieved but never be afraid to push yourself to learn what your body is capable of! Listen to your body and just work on making yourself a better version of who you were. Lately, I've been incorporating yoga into my week as I want to start challenging my mind and body further. I know what my limits are but I know that I can push them to see what amazing things my body can be capable of. Also, I get stressed sometimes and my body aches so yoga is a great way to calm my mind and release tension to help achieve overall health. I've always struggled with getting my cardio in. Weight lifting? No problem. So I take advantage of the free classes that The Gym offers. I do an Insanity class every Monday evening that gets me absolutely sweating as I really have to push myself. It's hard, but I'm feeling the benefits! Weight gain was always a goal of mine, it's the reason I got into fitness in the first place. I never thought I'd be able to put the weight on and I struggled for years, always being told to 'just eat more!' That never worked for me, I just couldn't do it. It was a very slow process putting the weight on, my end of 2016 goal was to weigh 50kg but I only managed to hit 46.5kg. I wasn't disheartened by this because I knew I'd reach it eventually and it wasn't until the second week of March when I finally hit 50kg thanks to the help of my personal trainer who I found using Pumpup's Certified Coaching. Now that I'm a healthy weight I can focus on getting stronger and finding new skills to master!! Pumpup has been something I've used for motivation pretty much since the beginning of my fitness journey. My favourite thing about Pumpup is the supportive community and being able to share your journey with other other people who also want to create the best version of themselves. Pumpup has helped me reach my fitness goals by allowing me to share my progress with people who gave me the confidence to love myself. I've always had very low self confidence and hated my body but by having people tell me that I'm an inspiration, my body is their goal and that I've managed to motivate someone to get up and workout, that's what's kept me going. Because I train in the evenings after work, I just have something small after training as I'll have dinner when I get home. So I usually have my protein shake (currently using My Proteins blueberry cheesecake flavour ) along with 3 rice cakes with peanut butter and a banana. By having amazing supportive people around me, it gives me the confidence to believe that I can achieve my goals and keep pushing myself further everyday. Some days I may not feel as confident about my body but I know my friends will always stroke my ego and remind me how fierce I am! Just be yourself! Be confident in who you are and never be afraid to ask for help or advice. 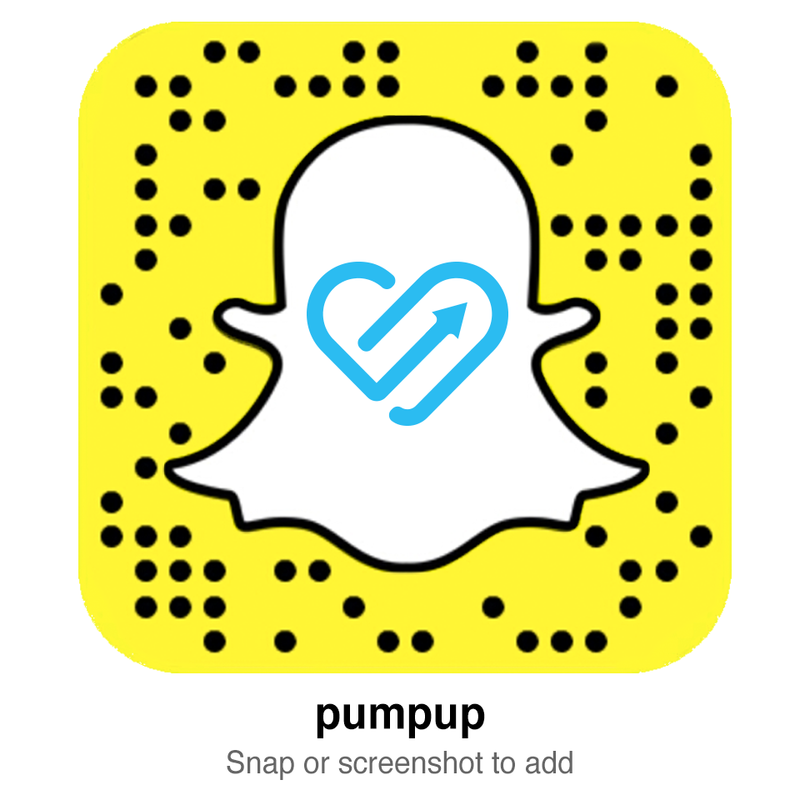 We're all here to better ourselves through health and fitness so get comfortable and welcome to the Pumpup family! Thanks Neala! Follow Neala's fitness journey on the PumpUp app @nealaxx!